Written by Burning Hearts Team on 19 February 2015 . Without prayer, our Lenten observances (getting ashes, giving up sweets, abstaining from meat on Fridays, dropping coins in the Rice Bowl) are traditions without meaning. St. Clement of Alexandria (third century) defined prayer as "conversation with God" - a conversation that never ends. In the Scriptures, St. Paul says: "Pray at all times" (Eph 6:18); "Pray without ceasing" (1 Thess 5:1); and "be constant in prayer" (Rom 12:12). He saw prayer as endless conversation. Written by Burning Hearts Team on 02 February 2015 . This is part of a 3 part series on the 3 Pillars of Lent. Read the parts on Prayer and Fasting for more ideas on how to make your faith Full Contact this Lent! While it may seem sometimes that being a Catholic Christian is a passive, primarily mental activity, the reality is that being a follower of Christ is a full-time, full-contact sport. As Father Sergius Halvorsen points out, St. Paul often uses sports imagery when speaking about what it means to be a true disciple of Christ. He says that he does not run aimlessly, nor does he "box as one beating the air." Rather, he "pommels" his body and subdues it. (1 Cor 9:24-7)...[he] encourages us to "run with perseverance the race that is set before us" (Heb 12:1) because our goal is a heavenly prize. St. Paul points out that athletes exercise self-control in all things in order to be victorious (1Cor 9:25). If athletic discipline was obvious in St. Paul’s day, then it should be even more obvious in our culture with its preoccupation with professional sports. The athlete cannot pigeonhole his or her athletic life. One cannot eat junk food and sit on the couch throughout the off-season and expect to make the team. Similarly, Christ challenges us to follow Him three hundred sixty five days a year, which means that we lead a life of prayer, fasting and almsgiving. This is part of a 3 part series on the 3 Pillars of Lent. Read the parts on Prayer and Almsigiving for more ideas on how to make your faith Full Contact this Lent! In the last thirty years or so, strength conditioning has been embraced as an essential part of all athletic training. From dancers to linebackers, all athletes require muscular strength and conditioning in order to perform well. Fasting is very much like weight training, however, instead of strengthening our physical muscles it strengthens our will. This is part of a 3 part series on the 3 Pillars of Lent. Read the parts on Fasting and Almsgiving for more ideas on how to make your faith Full Contact this Lent! 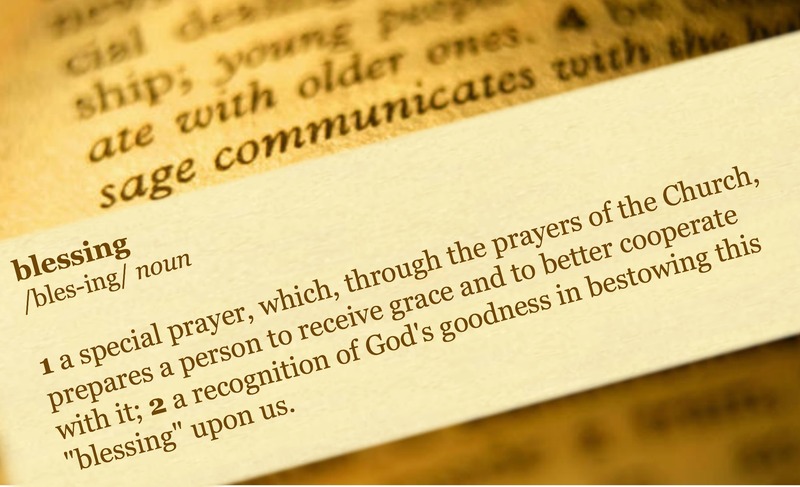 In the same way that cardio-vascular exercise strengthens our physical heart, prayer strengthens our spiritual hearts. To pray means that we take time every day to intentionally still our minds and focus on the person of Jesus. We listen to God speaking to us in the silence, or in His Word and we talk to him. Just like with cardio workouts, the more time we spend in prayer strenghtening our spiritual hearts, the easier it becomes to have longer sessions with greater intensity. Prayer opens our hearts and minds to the love of God, and allows us to be filled with the grace which God abundantly pours out upon us. Written by Burning Hearts Team on 05 January 2015 . Blessing a home recognizes God's goodness in providing for us a home to live in, invites God to be present within our home, and dedicates our home to God. A blessing isn't a magic formula that makes our homes holy; our homes become holy because of how we act inside them. Rather, it asks for God's protection over the mind, body, and soul of those who live there. Having our home blessed helps draw us closer to God, to Whom it is dedicated; and acknowledges that our home does more than just benefit our bodies by providing the tangible things like warmth, heat, shelter, etc. A blessed home can benefit our souls as well. The Feast of the Epiphany has, for centuries, been a traditional time for families to bless their homes. This tradition likely came about because the Three Wise Men visited the home that the Holy Family had established in Bethlehem (before the flight to Egypt - after which they settled in Nazareth). The visit from the Wise Men blessed the home of the Holy Family because they came in humility to honor and pay homage to the Christ Child and because they were the first to not only seek Jesus, but also to recognize Him as the Messiah. The Epiphany home blessing tradition has been more popular in Europe than in the US, but many American Catholics have taken up the practice as well. What is Burning Hearts Disciples?